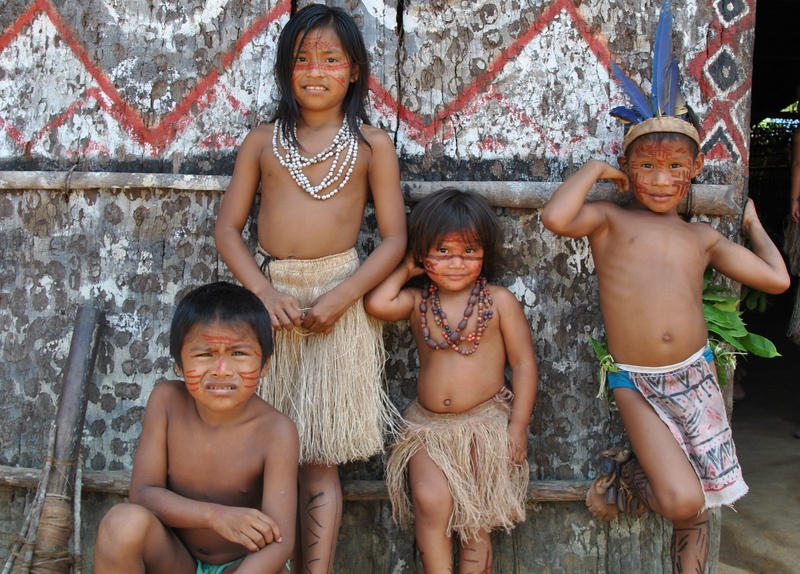 Glória Santos has grown up in and lives in Manaus, in the heart of the Amazon rain-forest. She started Ray of Hope in June 2003. 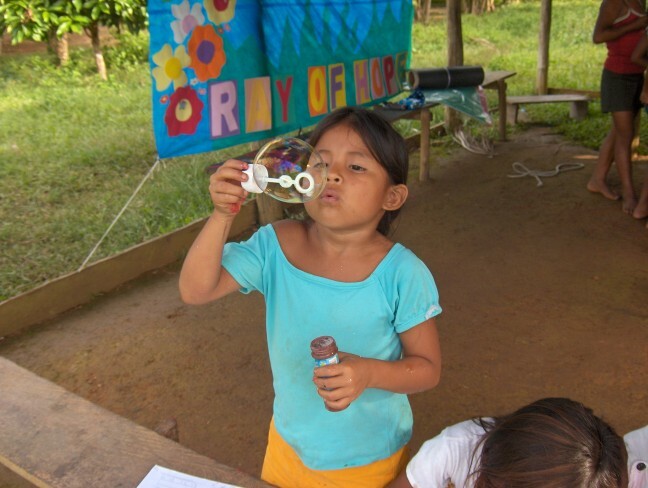 She has a special love for all the children who live along the Amazon River. There are no roads to this place and one can only reach the villages by boat. The boat journey to the different villages takes many hours. The people are terribly poor and the children are often hungry. Those who live here talk about their frequent feeling of abandonment. Nobody cares about them and they live isolated from the remaining society in Brazil. Ray of Hope is a team which consists of thirty volunteers in different age groups. They travel on weekends and holidays to the different villages on the river and set up “camps”. This implies a meeting with the village people and primarily with the children. They narrate something from the Bible and take part in singing. They even use puppets when they talk and teach. After the meeting, the children are divided into different groups for activities like games, sports and football championships. All the children get a present at the end of the camp. It can be a toy, school material or hygiene articles. Clothes and shoes are distributed when donations are available. Everybody in the village gets food as well. The number of people who participate varies depending on the size of the villages. It can be anywhere from 30 to 350 people. Ray of Hope has a dentist and a nurse who can assist if there is a need. The dentist also teaches the children about dental hygiene and everyone gets a toothbrush. Ray of Hope is also building schools in the villages for those who have a long way to the nearest school. Ray of Hope feels especially for those who are handicapped. They help those handicapped children and their families towards an easier and fairly acceptable existence.